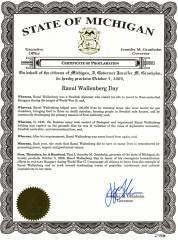 Governor Jon S. Corzine of New Jersey and Governor Dave Freudenthal of Wyoming proclaimed October 5th Raoul Wallenberg Day in their states. This is the second time that the State of New Jersey is supporting our campaign to obtain commemorative days to honor the Swedish diplomat nationwide. We are proud that the State of Wyoming is joining our cause and thankful to Jackson Hole Jewish Community for their in-state support. 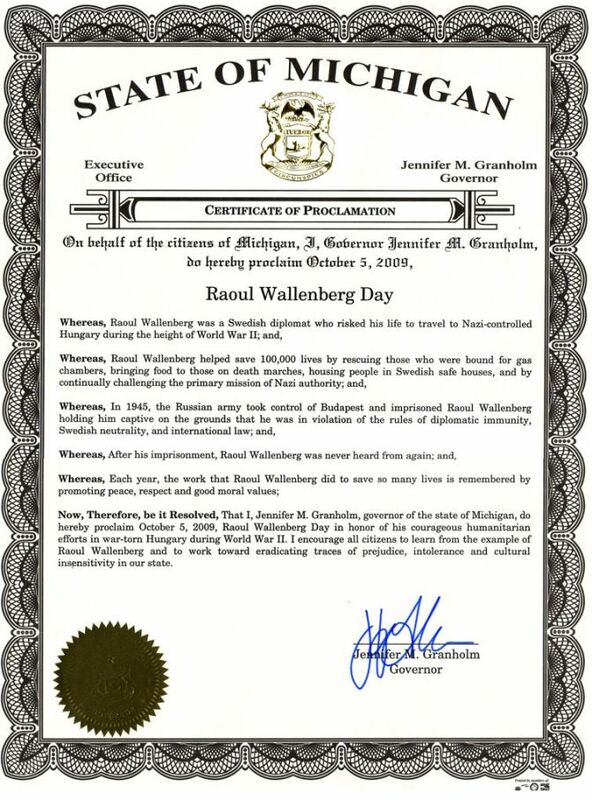 On October 5th 1981, Raoul Wallenberg, a Swedish diplomat who disappeared in January 1945 after saving the lives of tens of thousands persecuted people during World War II, became the second person in history to be awarded Honorary U.S. Citizenship. This commemorative date is celebrated every year in the State of New York and was proclaimed in the States of Iowa, Connecticut, Illinois, Maine, Maryland, Michigan, Minnesota, Nebraska, Nevada, New Jersey and West Virginia. 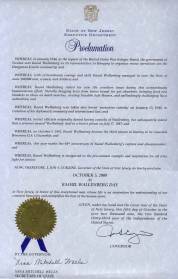 Wallenberg Days are also commemorated around the world, from Canada to Argentina. The International Raoul Wallenberg Foundation is a non-profit organization, with the aim of rendering homage, promoting the message and remembering the actions of all those Heroes of the Holocaust, who like Raoul Wallenberg, risked their lives to save persecuted people during the Holocaust.